You are browsing the archive for Nigeria. This blog has been reposted from debwritesblog This blog is part of the event report series on International Open Data Day 2018. On Saturday 3 March, groups from around the world organised over 400 events to celebrate, promote and spread the use of open data. 45 events received additional support through the Open Knowledge International mini-grants scheme, funded by Hivos, SPARC, Mapbox, the Hewlett Foundation and the UK Foreign & Commonwealth Office. The event in this blog was supported through the mini-grants scheme under the Equal Development theme. We are living in times where it seems very obvious to want certain situations. One of them is the presence of women in all professional fields. Who would not agree that such representation should be fair and equal with respect to the opposite gender? Perhaps nobody would oppose it in public, but the reality is different. Women are not balanced in all professional environments, and more and more cases are reported that reflect the way they are rewarded for their work is not fair. When it comes to open data it is a different situation. It does not take gender into consideration: instead it serves as an empowerment tool for any individual who is interested in making use of it. One of the female speakers noted that the proportion of women using the internet is 12% and that the percentage of women who have access to the internet is 50% lesser to that of the men. In her opinion, advocacy on gender inequality pertaining to the usage of data can be achieved through: 1. Proper orientation. People need to be enlightened on the use of data and it’s far reaching impact in the society. 2. E-learning centers should increase so that more women can gain access to the internet especially in rural areas. 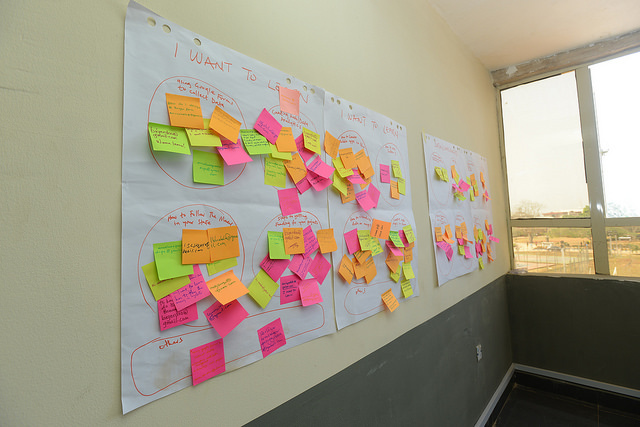 We had a pre and post evaluation to get a sense of what the young women felt about open data. The results showed that most women who use data do not necessarily check for topics regarding women or check for information that has to do with making businesses thrive. Hence, WELTI would keep advocating for women to leverage technology especially through her flagship program The Business Meets Technology, as this is another way of them getting access to data that would be beneficial to them. WELTI believes that with proper access to data, women are better able to understand what their rights are and work towards being the best they can be. WELTI (Women Economic and Leadership Transformation Initiative) is a three year old registered not for profit organization in Nigeria headquartered in Lagos focused on women. We reach out to young women between ages 14-30 on our three pillars of Leadership, Economic and Health (HIV/AIDS and Female general health awareness). The intention is to enable the young women, through our programs, to be CORE (Competent, Organizationally skilled, Responsible and Ethical) women. The women are taught to own their craft and be leaders in their own right irrespective of their gender. We are well aware that we are in a society where gender parity is yet to be achieved so we are doing the best we can as an organization to sensitize the younger women because we are positive that the time is now and change is imminent. In these few years of her existence, WELTI has through her programs, been able to impact, engage, encourage, equip and empower over 1500 young women to get involved in programs that would help them, hone their skills, own their craft and be leaders in their own right. This we have been able to do by working closely with about 50 volunteers. Kindly follow us on Twitter, Instagram and Facebook. For more Information, also visit our website WELTI. The open data scene is rising in Nigeria, and it has seen the birth of a vibrant community: to the North, Connected Development; to the West, BudgIT, Orodata, Code for Nigeria; to the South, SabiHub and NODA, to mention a few. 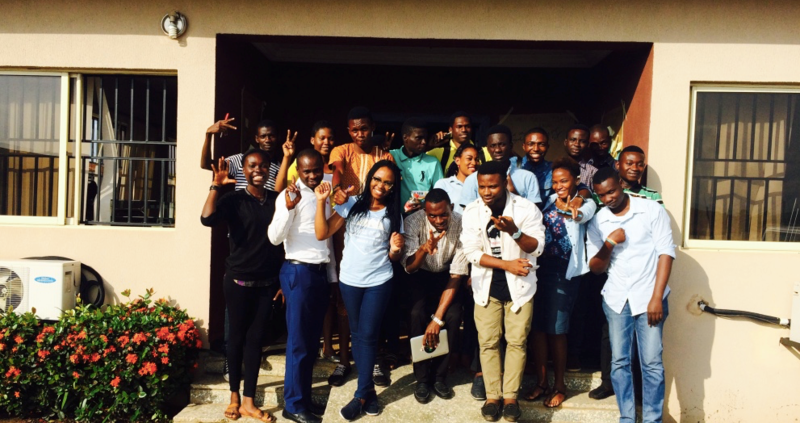 We all came together on the 11th and 12th of December 2015 to hold the second edition of the Open Data Party, the biggest open data event in Nigeria, with support from School of Data, Code for Nigeria and the Heinrich Böll Foundation. The first edition was hosted by Sabi Hub in Benin City, Edo State, Nigeria, in collaboration with the Benson Idahosa University. 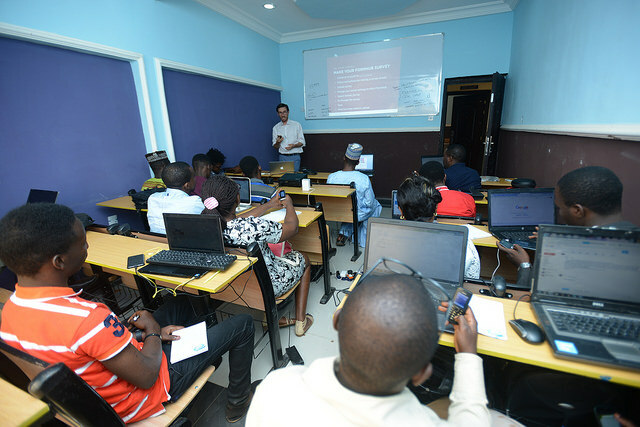 The event, described as the highlight of Nigerian Open Data Conferences in 2015, brought together data enthusiasts among social workers, journalists, government officials, academics, and activists from all over Nigeria. They learned and shared skills around using data to enhance their activities. The 2015 event was focused on waste management and saw a wealth of notable speakers/facilitators present. This included: Katelyn Rogers (Open Knowledge International Project Manager) Adam Talsma (Senior Program Designer and Nigeria Country Manager at Reboot) Stanley Achonu (Operations Lead at BudgIT), Temi Adeoye (Lead Technologist at Code for Nigeria), Nonso Jideiofor (Reboot), Joshua Olufemi (Premium Times Nigeria), Ayodele Adeyemo (Nigeria Open Data Access),Tina Armstrong Ogbonna (Reporter with Radio Nigeria and Freelance Journalist), Oludotun Babayemi and Hamzat Lawal (Co-Creator of Follow The Money in Nigeria) and the hostess Nkechi Okwuone (School of Data Fellow, manager the Edo State Open Data Portal and Sabi Hub). Day 2 kicked off with a panel session on waste management challenges in the Edo State and how it could be tackled from an advocacy, entrepreneurial and technology perspective. Immediately following was a 2-hour long unconference session focusing on the learning interests written by participants on sticky notes. This included a Follow the Money session, securing funding for your ideas/projects and maximizing web analytics. Rounding up Day 2 was the Ideation session which began with Temi Adeoye speaking to participants on how to better understand data problems, getting divergent and convergent ideas as well as thinking outside the box to get good results. Participants formed groups and brainstormed on developing a tool/platform to solve challenges in waste management with emphasis on recycling, collection and dumping. 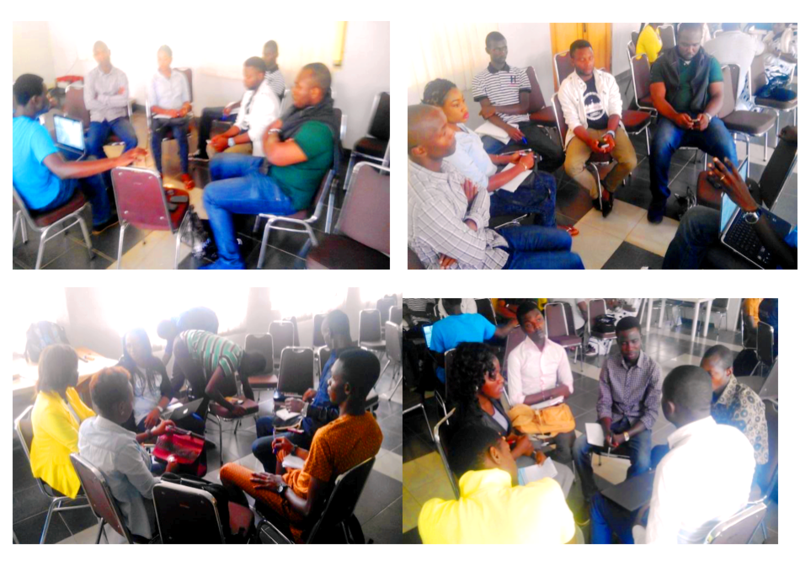 The session lasted for 2 hours and had a total of 16 participants who were each given 3 minutes to make a presentation of their ideas to a panel. The winning idea came from Abdul Mohammed from Kano and Emmanuel Odianosen from Edo State who will be developing a reporting tool to help waste managers (collectors) efficiently collect waste in communities. 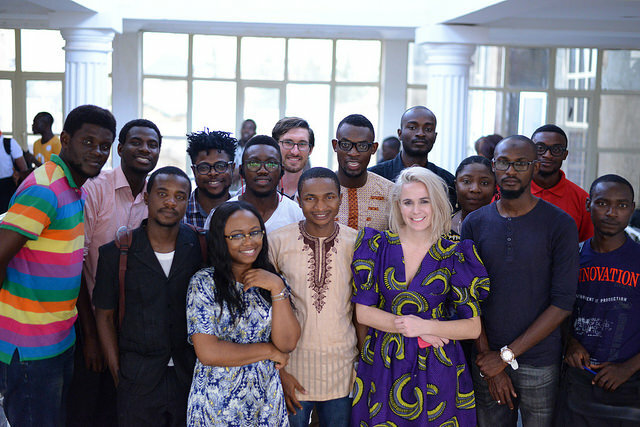 They were rewarded with a thousand British Pounds (£1,000) provided by School of Data, along with an incubation and mentorship package provided by Sabi Hub, Code for Nigeria and Connected Development. And of course we went partying properly at the popular Subway Lounge In Benin City Nigeria!. The event attendees expressed delight at the effort of the organizers who ensured that the event was world class and they all look forward to a bigger event come 2016. 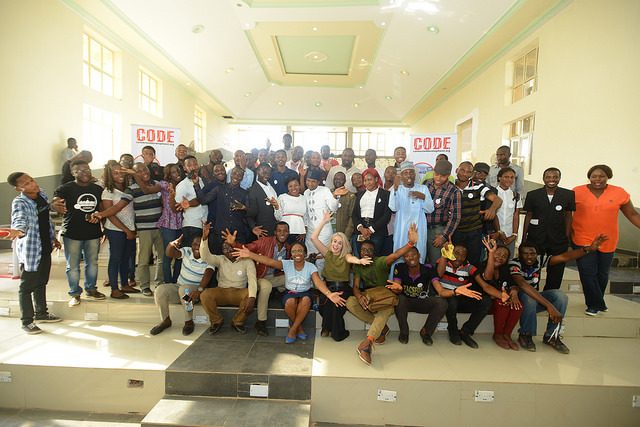 A big Thank You to School of Data, OD4D, Code for Nigeria, Sabi Hub, Connected Development, Heinrich Böll Foundation and the Benson Idahosa University for making the event a success! For an outsider looking at Nigeria’s news media lately, it would seem that the only things in the mind of Nigerians are politics or security-related. Breaking news are aplenty while more involved stories, either investigative or reporting on community issues, are scarce. This is a problem, but what can we do about it? Development Watch, an initiative by Journalist for Social Development Initiative, hopes to solve this problem. They have plans for a different kind of journalism, providing objective analysis of social development issues and promoting inclusive growth across Africa. And to live up to their goal of creating quality journalism, they decided to facilitate a data journalism session on November 30, 2015, at the occasion of the launch of the main part of their web platform. More than 20 journalists were present: 15 from the broadcast, 5 from the print and the others from the new media. Beyond Google Alerts, most of them had little knowledge of the useful tools for digital journalism, and even less about where to find available data in Nigeria. This was expected: we hear this from 80% of the participants to datajournalism trainings. Luckily, the point of those trainings is to familiarize them with the available tools and sources. “To find data for my reports, I only depend on references from other works, or request a meeting with concerned organizations, as I do not know where to go to, I find this difficult for my work” said Sam Adeko of Punch Newspapers. According to a recent poll by NOI Polls, a polling organisation in Nigeria, most people in the country access daily news via the radio (67%), followed by television, social media and newsprint. With this information in mind, we try to tailor our datajournalism trainings to take into account stories for radio and television, in addition to the use of tools like Infogr.am, essentially useful for print and social media. But before talking about visualising data, we had to cover some basic techniques. In this training, as is the case in many other ones, 90% of the participants used Google search to look up information, but few of them really knew how to search effectively. For example, you can search for specific content on a website by adding ‘site:example.com’ to your search phrase, which will prompt Google to only return results from the site you’ve specified. You can even narrow it down further by using ‘site:example.com/pages/’, and you’ll only see results that match that pattern. Another useful tool that was introduced was Google Trends, which allow to find which search terms are trending on Google. “I really want to know how much people are interested in President Muhammadu Buhari of Nigeria compared to the President of Rwanda, Paul Kagame. Especially in recent times, this can give me an insight on how important Nigeria is over Rwanda” explained Roluke Ogundele of the Africa Independent Television. All you need do is to enter a couple of common search phrases and you will get how this has been trending over time. 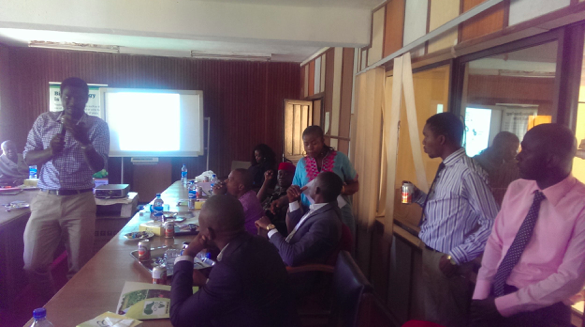 We also talked about Twitter, a micro-blogging service that is becoming more widely used in Nigeria. To discover public conversations about a link, you just paste the URL you’re interested in into the search box, and then possibly hit ‘more tweets’ to see the full set of results. When the datavisualisation session eventually came, we asked the question of whether to visualize or not, and how. Tools like Google Fusion Tables, Tableau, Dipity and others make it easier than ever to create maps, charts, graphs useful for newsprint, social media, and television. But what happens when you broadcast on the radio? Because people only listen, the need of getting a story out of the data, rather than just a visualisation, is more obvious. Stories can be told in a captivating way on radio, and they can come from data. “So if you are a broadcast journalist in the radio – you have no excuse, dive in by looking at the problem you want to solve first, via the radio (also works for other media), then find and get the data, and tell your story to the world” said Gloria Ogbaki of Ray Power FM In Nigeria, data journalism is nascent, and opportunities abound. 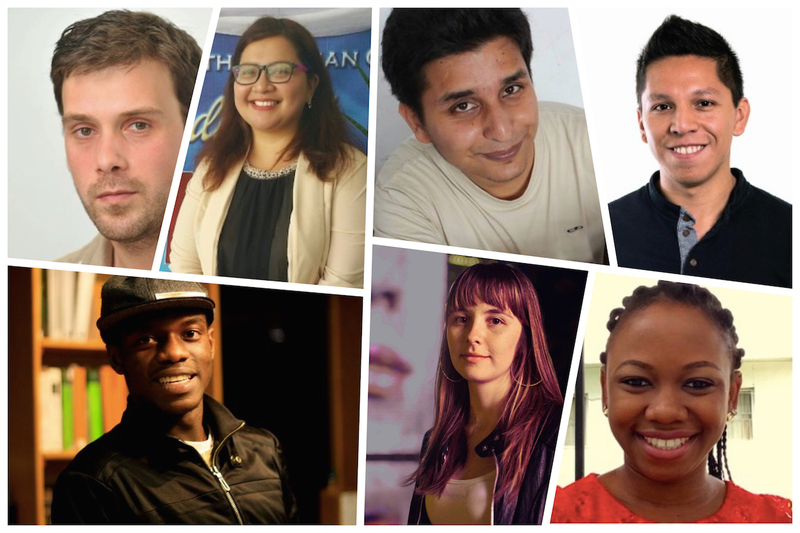 As more new journalists get into the field, thinking of which sector to dive into, there is a need for newsrooms to innovate by, for example, embedding data analysts and Information technology experts with producers of news. If you’re reading this, I suspect you’re already familiar with open data, data science and what it entails. But if that’s not the case, fret not, here are a few beginner courses from School of Data to get you started. As new data scientists, we need easy access to substantial, meaningful data without the restrictions of cost or licenses. It’s the best way to hone our new skillset, get objective answers to questions we have and provide solutions to problems. This is a fact that has been acknowledged by leading data scientists. So, how can new data scientists get easy and timely access to this type of data? Open Data Companion (ODC) is a free mobile tool that has been created to provide quick, easy and timely access to open data. ODC acts as a unified access point to over 120 open data portals and thousands of datasets from around the world; right from your mobile device. All crafted with mobile-optimised features and design. ODC was created by Utopia Software, a developer company being mentored by the Nigerian School of Data fellow in the open data community of SabiHub in Benin city, Nigeria. We believe ODC successfully addresses some key problems facing open data adoption; particularly on the mobile platform. With the growth of open data around the world, an ever-increasing number of individuals (open data techies, concerned citizens, software developers and enthusiasts), organisations (educational institutions, civic duty and civil society groups) and many more continually clamour for machine-readable data to be made available in the public domain. However, many of these interested individuals and organisations are unaware of the existence of relevant portals where these datasets can be accessed and only stumble across these portals after many hours of laborious searching. ODC solves this problem by providing an open repository of available open data portals through which portal datasets can be accessed in a reliable yet flexible manner. The fact that mobile platforms and mobile apps are now a dominant force in the computing world is beyond dispute. The percentage of mobile apps used on a daily basis and their use-rate continues to grow rapidly. This means that mobile devices are now one of the easiest and fastest means of accessing data and information; if more people are to be made aware of the vast array of available open data producers, the open data at their disposal and how to use them, then open data needs a significant mobile presence with the mobile features users have come to expect. ODC tackles this problem effectively by providing a fast mobile channel with a myriad of mobile-optimised features and an easy design. access datasets and their meta-data from over 120 data portals around the world. Receive push notification messages when new datasets are available from chosen data portals. This feature not only ensures users get easy access to the data they need, but it also provides timely announcements about the existence of such data. 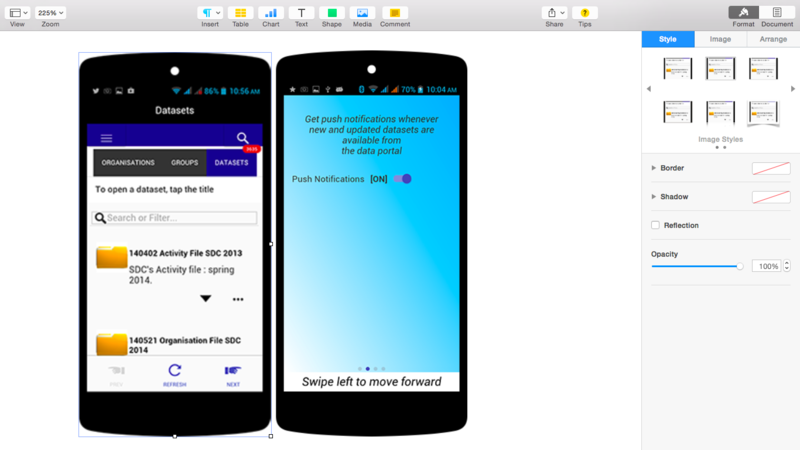 preview data content, create data visualisations in-app and download data content to mobile device. The app goes beyond a simple “data browser” by incorporating productivity features which allow users to preview, search and filter datasets. 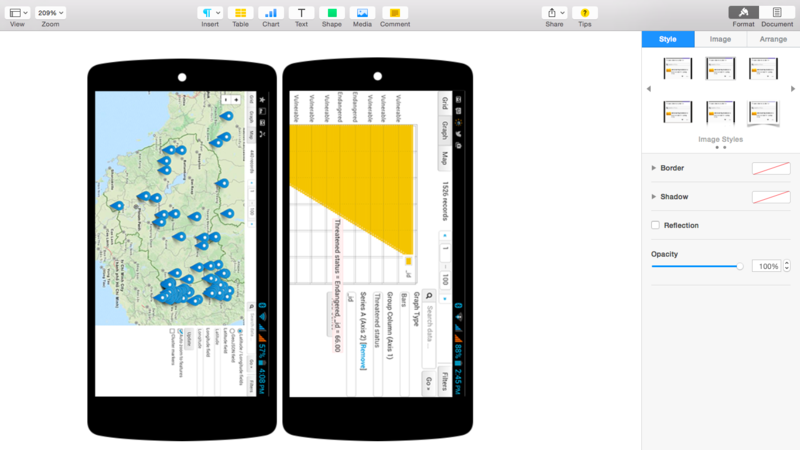 Data scientists can also start working on data visualisations likes maps and charts from within the app. translate dataset details from various languages to your preferred language. This feature comes in really handy when users have to inspect datasets not provided in their native language. For instance, when investigating the state of agriculture and hunger across Africa, available datasets (and meta-data) would be in different languages (such as English, French, Swahili etc). ODC helps to overcome this language barrier. bookmark/save datasets for later viewing and share links to datasets on collaborative networks, social media, email, sms etc., right from the app. Armed with this tool, novice data scientists, and our more experienced colleagues, can start wrangling data with greater ease and accessibility. Do you have ideas or suggestions on how ODC can work better? Please do leave a reply! I now have a better perspective and will work towards automating and opening attendance data. Students will be able to access it for monitoring their performance. We introduced them to our data Pipeline and gave them success stories. For those without projects, we succeeded in spurring them to research their options as they appreciated the leverage they could get using open data. In the skillsharing session, participants were more interested in learning how to visualize the plenty of rows and columns they had stacked up in folders. Sessions in visualization, storytelling, advocacy and even fund raising for NGOs, were held concurrently. Participants were really excited to meet new tools like Tableau, CartoDB, E-draw and even Excel. Links to resources that could make their work easier were also highlighted. We were worried about the receptiveness of the participants but were eventually amazed by their engagement and the innovative concepts about data harnessing they came up with for their various fields. Strengthening the community. Rounding up, we had a Google Student Ambassador from the University of Technology of Akure explain to the participants how to use the Google Drive collaboration tools. They learnt basic –intermediate skills of working with Google docs. So great! We now have a working group in the South-West of Nigeria with the NODA team to continue keeping the community vibrant. 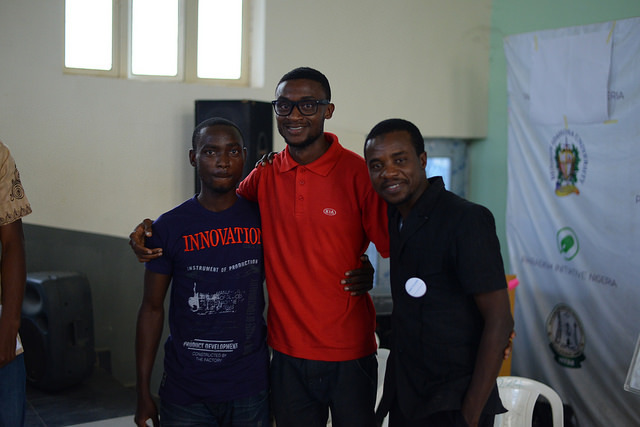 Comments Off on Open Data Party Akure – Treading new grounds in Nigeria!